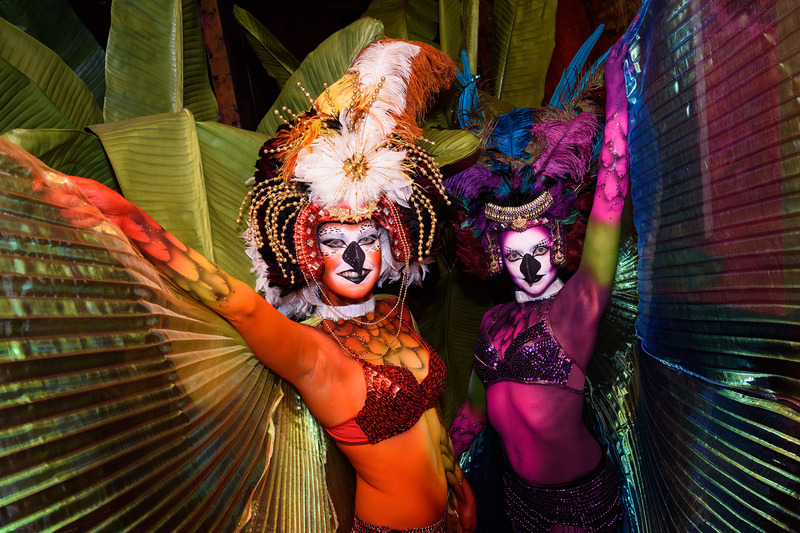 Body painted models during a spectacular event at Carnivale. This year has been fairly crazy, but this event takes the cake. I knew there was going to be a fire performance, but the rest of the details were kept a bit confidential. When I walked in, I was greeted with a variety of performances and displays — and an overall fun evening. Here’s a few photos that represent something a little different than what I usually photograph at events. 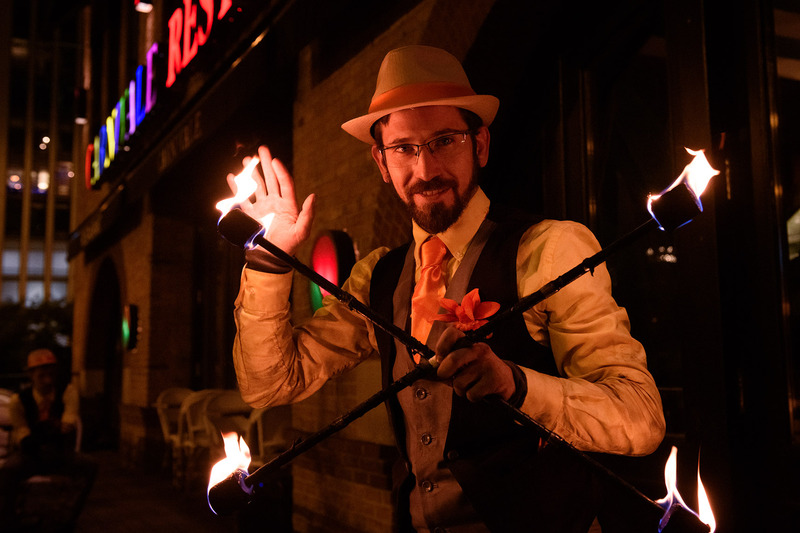 A fire performer poses for the camera outside Carnivale in Chicago. An acrobat hangs from the ceiling.